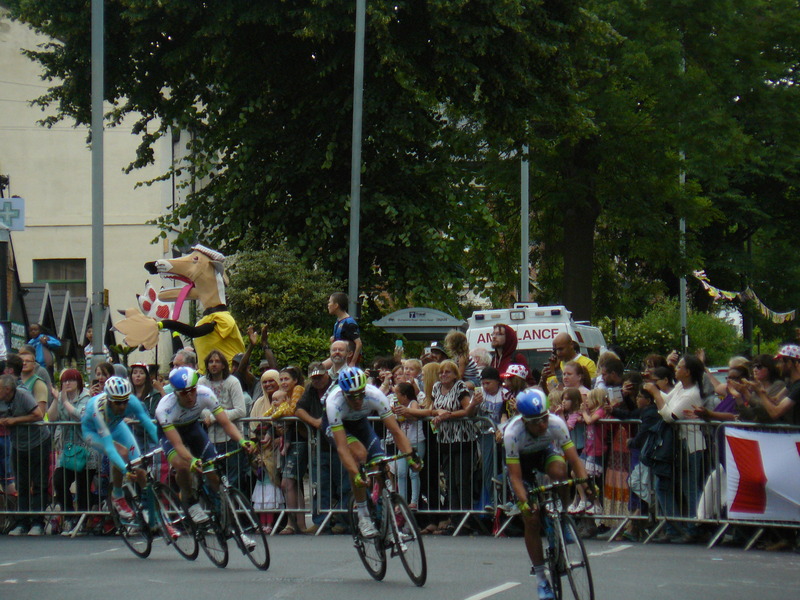 It took all of three minutes for the Le Tour to get through the parish, they missed all the delightful things we enjoy so much about here, but it was great to cheer them on. 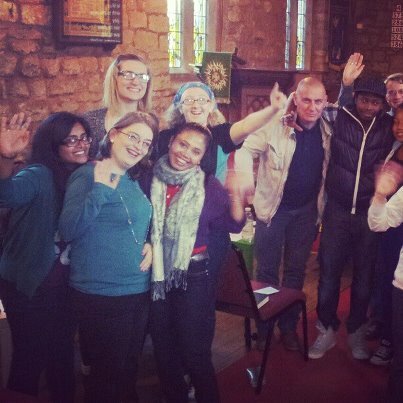 We had a great day on Saturday 25th January, 2014 with 200 young Christians from all over south Yorkshire for Breathe deep! 12 young people went from our mission partnership which is fantastic. We had a great day worshiping God, exploring being a Christian in different settings, playing games, eating, laughing and having a great time. 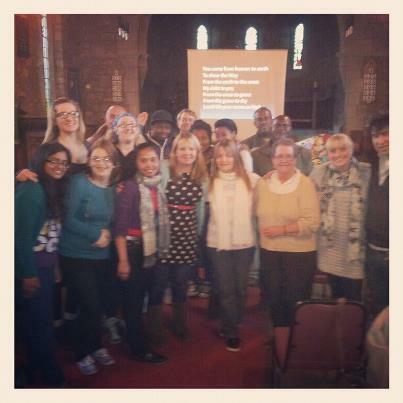 On the 27-29 September Christ Church Pitsmoor had a great weekend. For the weekend we hosted our dear friends from All Saints Ecclesall (http://www.ecclesall.parishchurch.org.uk) to serve the community of Pitsmoor. we managed to fit quite a lot into one weekend. It all started Friday night with GenR8 youth club to help both groups mis and give an opportunity for All Saints to have a tour of Pitsmoor. saturday we litter picked, cleaned a park (Nottingham Cliff Park). In the afternoon we had a fun afternoon on the park which consisted of a climbing wall, bouncy castle, face painting, BBQ and lots of games. Sunday we took over the service and shared testimonies and worshiped as load as we could. One of the aims of the weekend was to provide an experimental place for young people to explore mission, for young people to come away with stories that would enhance, change, inform and transform their story. This was fascinating in practice as so many young people came away with stories of things that had happened or thay had witnessed. One conversation i had the privilege of having was with one young lady who hadn’t realised until that weekend that prostitution happens outside of London. It was truly amazing to see young people (and adults) come alive with the Holy Spirit, so fired up and passionate about mission in their city. I know its difficult to tell in this photo but the atmosphere was incredible, seeing so many families using the park was lovely. you can see the hubbub by the climbing wall we had face painting, bracelet making and BBQ over there as well and you can see the bouncy castle poking out. it was the end of the day so no football or basketball which was talking place on the newly cleaned courts. 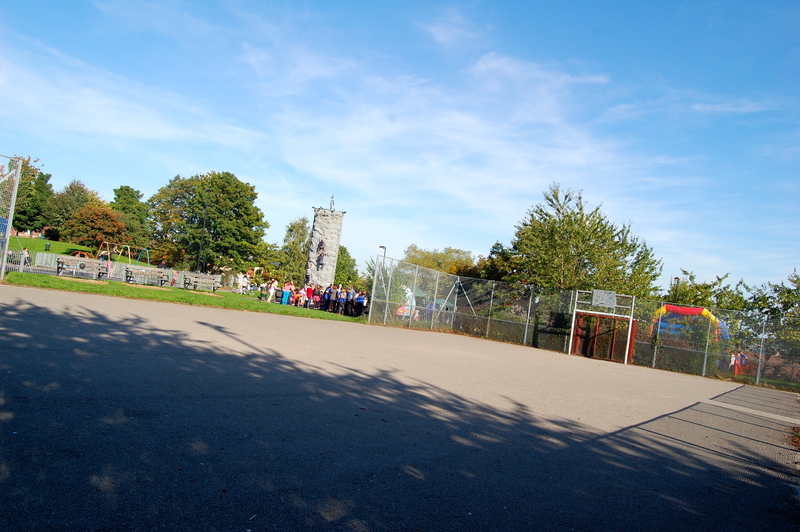 Clean courts is something that started a conversation with a parent at the fun afternoon, we chatted about how great it is that someone cares, not only cares but cares so much that they got up and did something. My hope and prayer for the future is that more people who care will get up and join in. also i hope that people we met and are still meeting will see that ultimately God cares. God cares so much that God gave his one and only son as a sacrifice for our sin bringing us back in unity with God. A worship event that is organised by churches across the city and is for young people 11-18 from across the city. The worship band were from All Saints Ecclesall, teaching provided by Mark Russell with fun and enthusiasm provided by the young people. throughout the evening young people gave heart felt response and a longing to meet with God. the teaching was focused on the lords prayer in particular “our farther”, trusting God and trusting the power of praying in the name of God. we look forward to the next one on 10th July. The time has arrived! Element are going to Keswick in the Lake District on Fri 1st- Sun 3rd Feb to enjoy some quality time together in the lovely countryside. Me: as I’ve said I grew up in Birmingham I could not wait to leave school so when I could I became an engineer. I attended college for 3 year as an apprentice I specialised as a turner on lathes, because of this skill the company also made titanium wedding rings. This meant I learned to polish in various styles, diamond set, inlay precious metals, laser weld and sell. 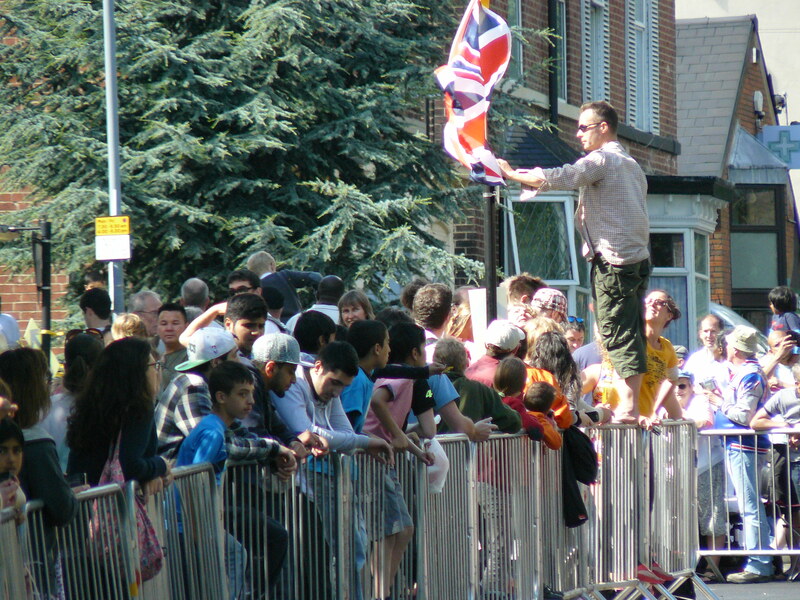 During this time I had a strong calling from God to do youth work (I ignored). A friend asked if I could cover her place on a beach mission and I was hooked. When I returned I realise that I was not serving God in my workplace or listening to God generally. Lots changed for me and I would say I suddenly became aware that God is everywhere and I can serve God anywhere. After a year and God laying on strongly the calling to be a Youth Worker I decided to try it by volunteering. 4 years later people prayer and heard God (me included) that I should grow up and do what I needed to do so I could grow. This was a Degree in youth community work and practical theology, to say I found it tough is an understatement (but that is my personal journey). Rejoice I did it and learned loads on the journey so I’m now Anthony Steven BaHons. Why Pitsmoor: I saw the Job advert and thought that is me, I saw the church profile and thought that’s a place I can worship, serve and be; so I applied for and here I am. When I was applying for the job and equally when I got the job people would say “Pitsmoor do you know the area?” i have to say even though people rubbished the area I love it here there is no more trouble here that any other area i have lived (i have witnessed less trouble here in fact). So why exactly, discipleship of young people who are committed to Christ and community I love the diverse nature of the place and the endless possibilities. 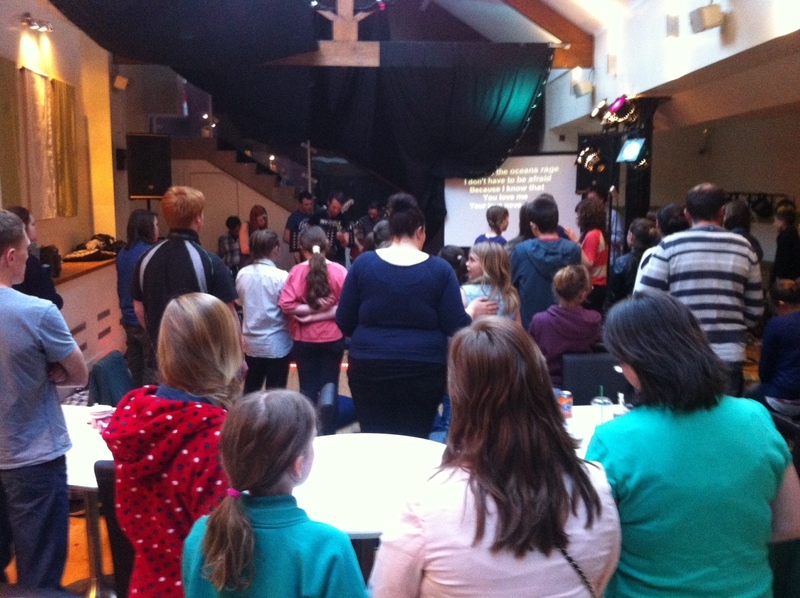 We had a great day over at Woodsetts Church for our Alpha Holy Spirit Day. We enjoyed great teaching, fun together, intimate worship, prayer ministry and a lovely pub lunch followed by a short walk. About 25 of us spent the day together.